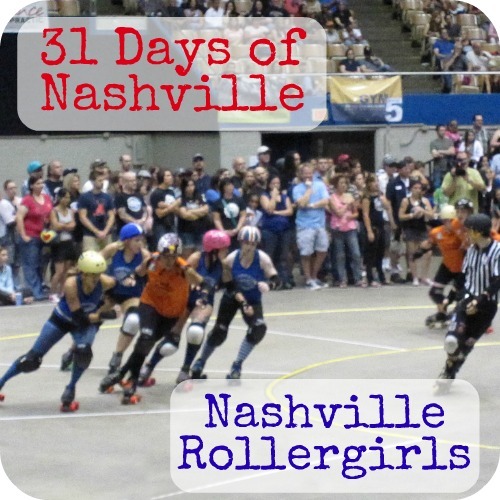 The Nashville Rollergirls are Nashville’s finest women on wheels. The roller derby of the 70’s and 80’s has made a comeback in the last 5 years or so, and it has turned into quite an athletic sport. It’s highly competitive, but it’s not quite the hair-pulling, name-calling, catty sport of 30 years ago. It’s much more civilized now. I am not a sports enthusiast AT.ALL. You won’t find me watching football on the weekends or baseball during the World Series or any other sport, but there’s something about roller derby that changed that, at least when it comes to watching roller derby. The first bout I attended was in 2009 after seeing an event posted at a pizza place in town. It was shortly after my birthday, and I told David that I wanted to go for my birthday. At that time, the Rollergirls played at the sports arena at the Nashville Fairgrounds. The audience was such a grand mix of people from all ages and groups that I never once felt out of place. Oh, and the derby bout was an amazing experience. I was hooked! Since that first bout, we have seen the Nashville Rollergirls compete with women from other cities all over the US. 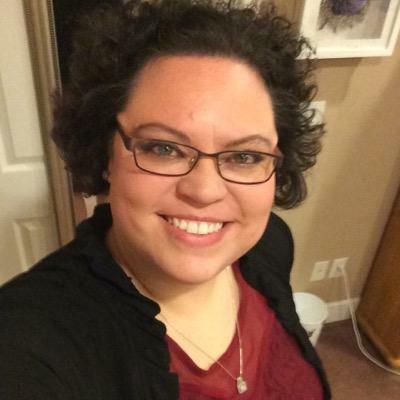 Their fan base has outgrown the fairgrounds arena, and moved to the Municipal Auditorium where there’s more room for more people without being crowded on bleachers. It takes watching a few bouts to really understand the rules of the game, but what sport isn’t without complicated rules? Once we started to understand the rules, we really got into the competition and started identifying our favorite players from the Nashville team, like Lady Fury, Hildabeast and Ramb0 Samb0 (Hildabeast has retired and Ramb0 Samb0 moved from the area). For the younger girls ages 10-17, there’s also the Nashville Junior Roller Derby team. They play some during halftime at the Nashville Rollergirls bouts, and it’s amazing to see them play, too! This year’s roller derby season is over, but you can catch them again next year starting in February through August for regular games and September for playoffs. The Al Menah Shrine Circus is in town this weekend! I have SO MANY awesome memories of going to the circus as far back as my memory goes. My Dad has been a Shriner for more than 30 years, so it was an annual tradition for us to go to the circus almost every year. Even as an adult, the kid in me comes out when I attend the circus. My favorite acts are usually any act that involves dogs and the silly and kooky clown antics between the main acts. Some people are frightened of clowns, but not me! There’s almost always at least one death-defying act toward the end, often involving human cannons or motorcycles high in the air. And don’t forget the high wire and trapeze acts! As a kid, I always seemed to talk my parents into getting me some sort of toy that lights up, because I wouldn’t dare miss the “winky blinky light show” where they turn out all the lights, and we get to show off our new toy to everyone around. More than 30 years later, they still do this, and it’s still pretty awesome for me, though I have only been an observer and not a participant for the last several years. Unfortunately, other plans are keeping us from attending this year, but hopefully we’ll be able to attend next year. 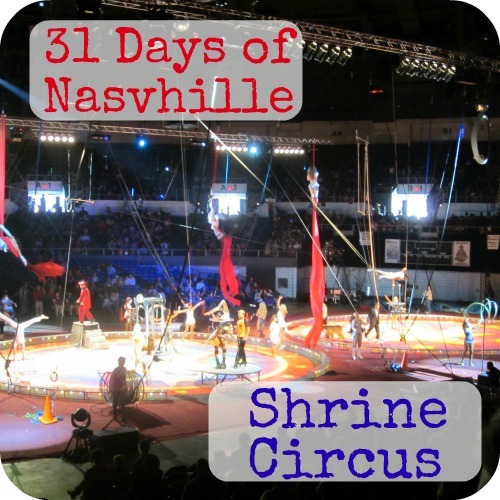 The circus is in town through Sunday, with one show Friday night, three shows on Saturday, and two shows on Sunday. If you’ve never been to the circus, what are you waiting for? 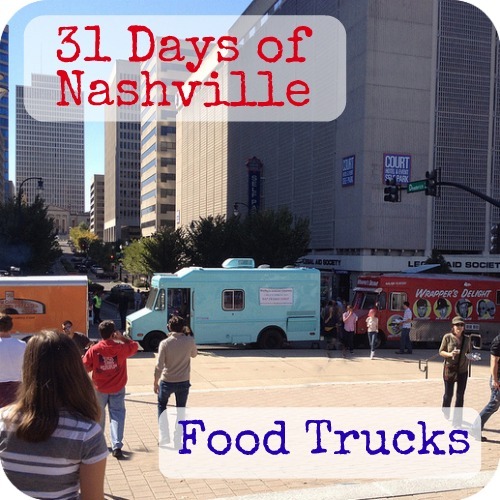 A few years ago, the Food Truck craze made its way to Nashville, and it only seems to get bigger every year. I guess food trucks aren’t a new concept for big cities, but I hadn’t really heard of them until 2010-ish. I remember I kept seeing people talk about The Grilled Cheeserie here there and everywhere online, but it was still a while until we really found out what it was all about. Now it seems like there’s at least a food truck or three are at most every outdoor event in and around the Nashville area…and I’m not complaining! I’ll talk about a few of my favorites. The Grilled Cheeserie is the first food truck I heard about in Nashville, and it was the first food truck that we had the pleasure of experiencing. I remember the first time we tried, we heard that they were going to be at an event at Third Man Records, so we tried to seek them out in that area, only to find that the area was jam packed with people. We had brought Shelton along that day without a leash, because we had no idea what we were getting ourselves into and thought maybe we’d be able to just walk up to the truck, order and leave. A few months later we finally had our first bite of some delicious cheese goodness when they were set up in Centennial Park. We came prepared that time (without Shelton) and with cash (because ‘back in the day’, they only took cash). The experience was pretty much awesome, and we’ve been back several other times. They usually have a Melt of the Moment, which is often times some strange concoction of ingredients loaded onto a grilled cheese sandwich, obviously), but I wouldn’t let the odd combination scare you away unless one of the ingredients is totally not to your tastes. The combination may seem weird, but the flavors usually go together well. We discovered Hoss’ Loaded Burgers at an annual event at Second Harvest Food Bank every year on Valentine’s Day. We’ve been two years in a row, but 2013 was the first year Hoss’ showed up, and the first time we had the Hoss’ experience. They serve some seriously delicious burgers. They have a regular menu, and they usually have a special burger at different events. The burger at the Valentine’s Day event was the “King”, which was Thick Sliced Bacon topped with Grilled Banana, Creamy Peanut Butter and Strawberry Preserves. It sounds weird, I know. I get it! But like The Grilled Cheeserie, the mix of ingredients really deliver. If different ingredients on your burger aren’t your thing, they do have normal burgers that you should give a try. Really, you should. The parmesan fries are definitely worth trying, as well. Food trucks in Nashville aren’t all about gourmet cooking. Just Like Nannie Fixed It is where to get your home cooking in a roaming food truck. Nannie was at an event downtown last year after church where the lines were long but the wait was shorter than expected. Maybe they were prepared to feed the 5,000 with chicken and dumplings instead of bread and fish, because we got our food fast and hot. As a southern girl, I can be picky about my country cooking, but Nannie represented well. And the banana pudding? You know it! If there’s sandwiches, burgers and home cooking in food trucks, there has to be a few with dessert, right? The Cupcake Bus is the food truck version of the Cupcake Collection. It’s not too hard to make a regular cupcake, but it’s a little more difficult to make an exceptional cupcake. With several flavors to choose from, I had a hard time making a decision on what to order. What do you do in that situation? Well, you order a few flavors to share with your husband over a couple of days. I almost always go for Wedding Cake flavors, but I also went for the Sweet Potato flavor because I have a hard time turning away sweet potatoes. My husband is not on the sweet potato fan page, but he did share the Sweet Lemonade cupcake with me. So delicious! If you can’t catch them by bus, you can always catch them at their standing location in Germantown. You won’t regret it! I could go on and on about other food trucks, but I’ll just point you to the Nashville Food Truck Association website where you can see ALLLL the food trucks in the Nashville area. There’s even an app for your phone so you can see where the various trucks are visiting each day. Also, Biscuit Love Truck, I am looking for you next! Okay, I get it. It might be creepy to list a cemetery on a list of what makes Nashville awesome, but the Nashville City Cemetery truly belongs on this list and not for any sort of ghostly or spooky reasons. It’s really all about the history that now resides in the cemetery. Since opening in 1822, the cemetery has become home to many famous Nashvillians and Tennesseeans, including four of Nashville’s founders, James & Charlotte Robertson and John & Ann Robertson Cockrill (you’ve probably seen their names around town on streets and buildings). There’s also one of Tennessee’s Governors, William Carroll, 15 of Nashville’s Mayors, and many other residents of the area. President James K Polk was even buried there briefly (he was later buried at his home, then moved again to the capitol in Nashville). So maybe visiting a cemetery isn’t on your list of places to see in Nashville, and I get it. I don’t know that I would have ever visited the cemetery if it wasn’t for the annual Living History Tour that is held in the cemetery every fall. I’ve been a few times over the years, and it’s always a great experience. Each year, they arrange several historical interpreters to represent some of the cemetery’s residents and tell their life story. The 2013 tour has already passed, but there are guided tours regularly scheduled about once a month during the warmer months (April to October). There are also clean up days once a month to help keep the cemetery in good shape to enjoy for many more years. Check out the Events page for a list of all upcoming events. The cemetery is open every day from dawn to dusk. David and I love going to The Pied Piper Eatery, but we love recommending out of town guests to visit the eatery even more. I can’t remember exactly how we found out about it, but I think it was through Yelp. It truly is one of those hidden gems in Nashville because it’s a little off the beaten path in the Ingleweood neighborhood of East Nashville. The theme is Rock-n-Roll diner with both the decor and the dishes they offer. Where else can you get a Fleetwood Mac ‘n Cheese and a Jerry Garcia Frito Pie in the same place? The decor is a random sort of mix, probably from yard sales and thrift stores, but it lends a certain charm to the place. Other dishes that are worth trying are the Monty “Python” Cristo, the Dolly Parton Chicken Melt (a giant breast of chicken, of course), and the fried green tomatoes when they are in season (though I can’t remember their catchy name). 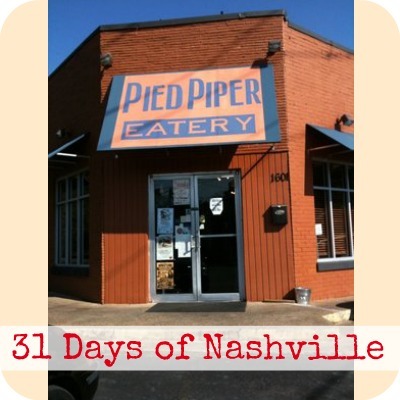 Also in East Nashville in the Five Points District is The Pied Piper Creamery. The Creamery owner and the Eatery owner are sisters. This is THE place in Nashville to get homemade ice cream in some really awesome flavor combinations that you won’t find anywhere else. They have 24 “punny” flavors at all times, with a few that are permanent fixtures, such as Trailer Trash (Vanilla with Oreo, Twix, Butterfinger, Nestle Crunch, Snickers, M&Ms, and Reese’s Pieces…it’s like all of the guilty pleasures in one) and Some Like It Hot (Chocolate with cinnamon and cayenne pepper). I’ve tried several of their other flavors, as well, and have never been disappointed. The neighborhood is adorable and quaint, and a great place to be with some ice cream on a pleasant day. You can also get some flavors of the Creamery ice cream at the Eatery, but we usually end up visiting both establishments when we’re in the area. 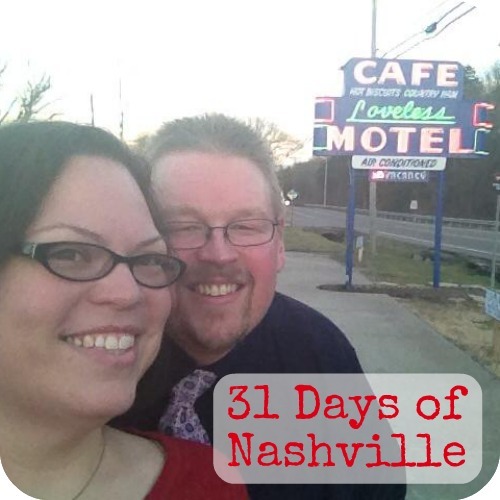 Once a week I’m going to post about a memory I have of Nashville. I wish I could say that Opryland is more than just a memory and that you could enjoy some amusement park fun, but Opryland closed it’s gates for the last time in 1997 and Opry Mills mall took it’s place a few years later. I’m far from the only Nashville native who wishes we still had a theme park instead of a mall. I have many fond memories of summer days spent riding the Wabash Cannonball, Grizzly River Rampage and Flume Zoom (known to the kids as the Log Ride), then ending the day with a funnel cake. I remember driving the Tin Lizzies as a kid and thinking how cool it was to be driving a car! And how cool was it to ride the Sky Ride high in the sky to get to the other side of the park. Then later, they started adding bigger rides like Chaos, The Screaming Delta Demon and the Hangman. These arrived in just the right time of my life as a teenager excited to ride bigger and better rides with even more adrenaline rush thrills. Even better than going once or twice a year was getting a Season Pass. My home church took the youth group once a week, which allowed us the freedom to roam the park to our heart’s desire, as long as we were back on the bus by the end of the day. When the powers that be decided to close Opryland and turn it into a mall, it seemed like no one in Nashville supported this crazy idea. We already had malls but no other theme park. Why did we need yet another mall. Almost 20 years later, most residents still feel this way, and last year we almost got our wish when Dolly Parton announced that she was going to buy the land across from Opry Mills and turn it into a theme park similar to Dollywood in Pigeon Forge, Tennessee. This was exciting news for me and most everyone else in Nashville, but the deal fell through, and Dolly backed out. 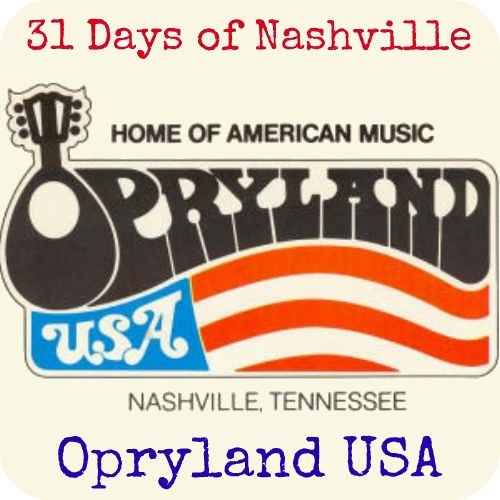 We still hope Dolly or someone else will revisit the idea and that one day Nashville will be home to another theme park, but for now we’ll just have to live the with awesome memories and experiences we had at Opryland. Did you ever visit Opryland when it was still a theme park? What was your favorite ride or favorite memory?